We are supporting the idea that any organisation with an office and an audience could benefit from digital signage, and have presented it in front of a very diverse audience: from lawyers, to gym trainers, nutritionists and insurance brokers. 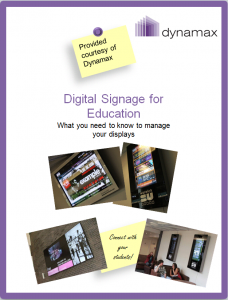 ”If it doesn’t make money, it doesn’t make sense” the saying goes and we’ve demonstrated in previous posts how digital signage could help different institutions (healthcare, educational and banks among others) comunicate better and cut administrative costs. Libraries are a type of establishment where technology plays a main role in coordonating activities and disseminating information to interested parties. Every librarian would know that I’m not referring to the fax and copy machine here but to the less visible library information systems (see LLEK Koha, LIS Host or Autolib) and the more visible automatic check-ins. Digital signage makes sense for libraries- organisations based on the principle of making information accessible to people and enables them to efficiently promote their resources while keeping down marketing and advertising costs. 1. inform visitors about the latest events. Arguably your most interested audience in what you have to say it’s the one already on your premises. Spread the news (special guests, a book launch, writing sessions etc.) where they matter and to whom they matter the most for maximum impact. Digital signage could also help you harmonize your communications and enforce and enhance the visibility and usefulness of other channels: use the screen to remind your visitors to check their emails, mobile phones or your website to register or get more information about the announced events. 5. the communication via the screens can also streamline the booking process– telling people where to start and what are the steps to take. The use of screens instead of posters and flyers implies that the library doesn’t incur a cost every time it decides to update its message (which could very well happen several times a day, a week etc.) and the fact of reaching the most interested audience with the latest news represents a more efficient use of the marketing budget. Quoting Roy Tennant, the editor of TechInfo (a resourceful website for librarians interested in library information systems) ”technology will only get easier’‘. Today’s content management software allowing the display of information don’t require any thorough technical knowledge. Furthermore, efforts are being put in making them even easier to use yet reliable as far as content delivery and storage is concerned (Howard briefly summarised the benefits of a cloud- based software a while ago, well worth a read). 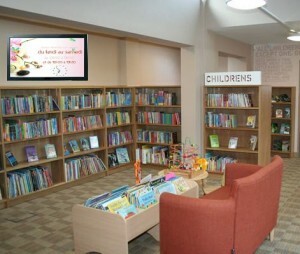 Digital signage software also enable librarians to choose the screen (player) and the time when they want a certain message to show- thus enhancing their message relevance and consequently, its impact. With software- as-a service option available, the cost of setting up and maintaining a digital signage systems is much reduced. This obstacle removed, if fear of staff not being able to handle technology is still getting in your way, then perhaps Tennant’s article-Top Ten Things Library Administrators Should Know About Technology will bust some of the tech- related myths. or see how the system works, for free.